The document will be added for download. 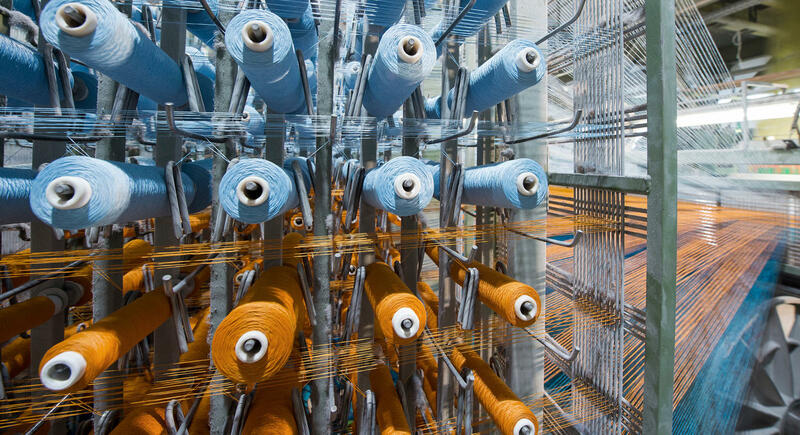 The most innovative techniques and efficient production equipment are fundamental for premium textiles. 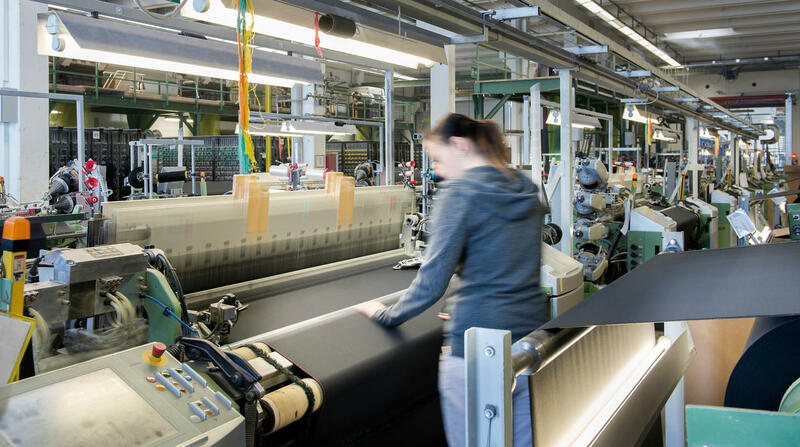 With its own flat woven fabric and velour production facilities, KNEITZ can supply two very different product groups to meet customised challenging requirements. 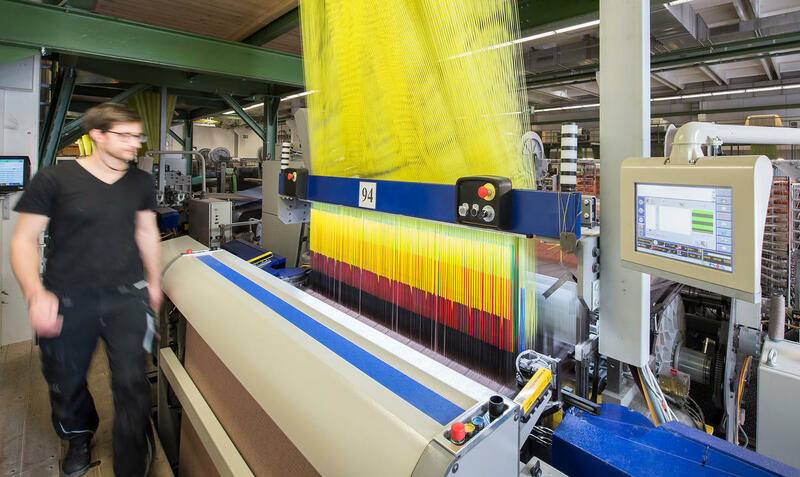 We handle the weaving and finishing of the fabrics and fabric surfaces and also work with the best partners to ensure that we can deliver even the most ambitious textile solutions. Jacquard weave velour is woven using a technology that makes it possible to weave textiles with large-scale designs. The surface looks somewhat like a screen with the pixels set to a low resolution. Each pixel comes from a single yarn source; the number of colour and pixels is therefore limited, depending on the complexity of the machine. 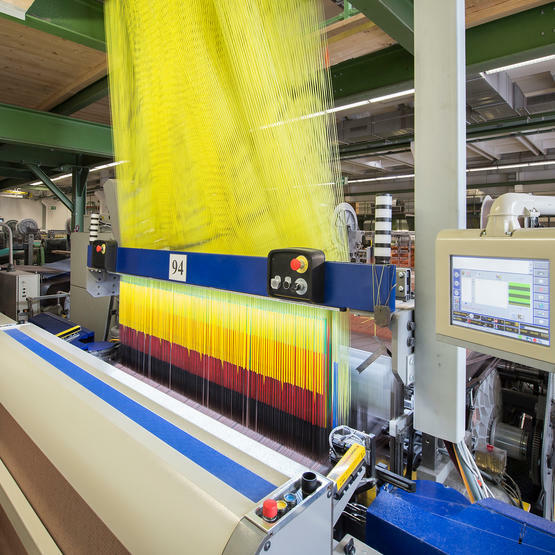 The yarns are controlled automatically by a harness. Jacquard weave velour is often made using a combination of polyester and wool yarns as the resulting blend has the best properties with regard to product durability. These fabrics are used to cover the seats in all kinds of public transport vehicles - not least as they look clean for considerably longer than flat woven fabrics due to their three-dimensionality and structure. Dobby weave velour is characterised by small-scale patterns with a low number of different colours and a plain-coloured fabric surface. 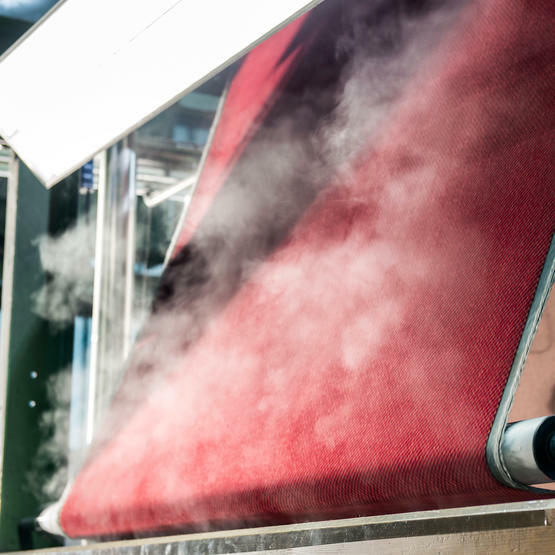 As these fabrics are also designed to be used for seats in public transport vehicles, polyester and wool blends again achieve the best quality results. However, particularly the plain-coloured fabrics are also used as lining and for side elements. 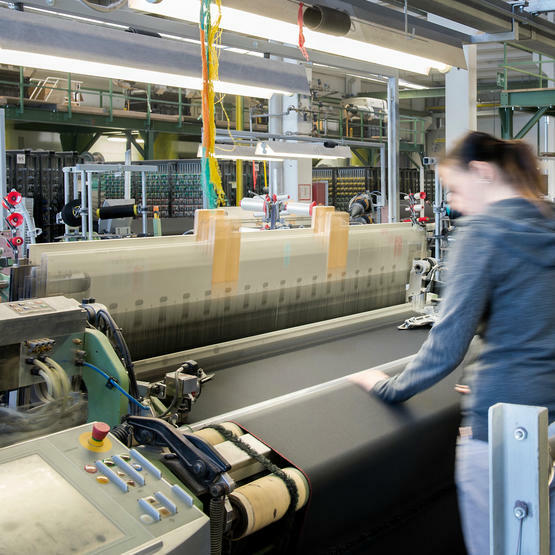 Thanks to its own finishing equipment, KNEITZ is able to finish its velour products in-house. 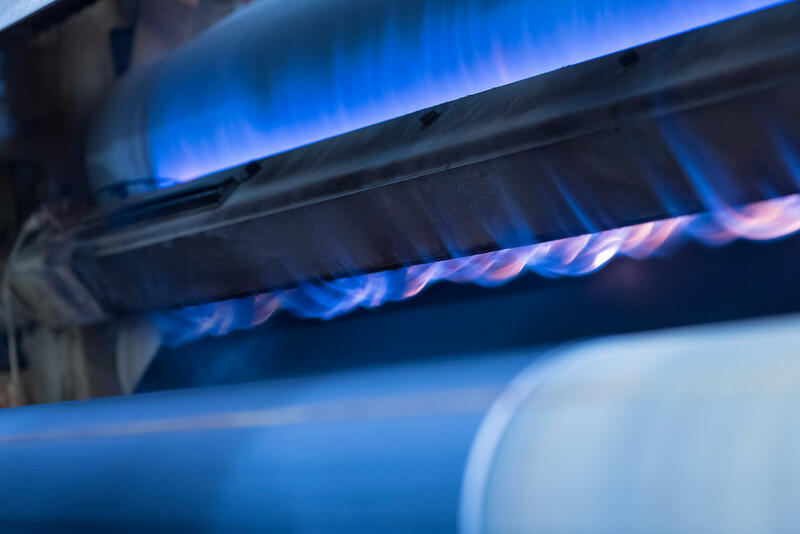 The woven raw material is also pre-treated before the actual finishing process with the aid of heat and steam in one process that involves three steps, brushing, roughening and shearing. This evens out any unevenness resulting from the weaving process and allows the pile height to be adjusted to the required length. It also gives the fabric surface an even and uniform look. The actual finishing process takes place on tentering frames. At this point, various finishes consisting of coatings and additives can be applied that give the fabric different characteristics and properties. Finishing can improve a fabric's flame retardancy and resistance to soiling and stains or change the way it feels to the touch. The fabric can also be prepared for special applications. 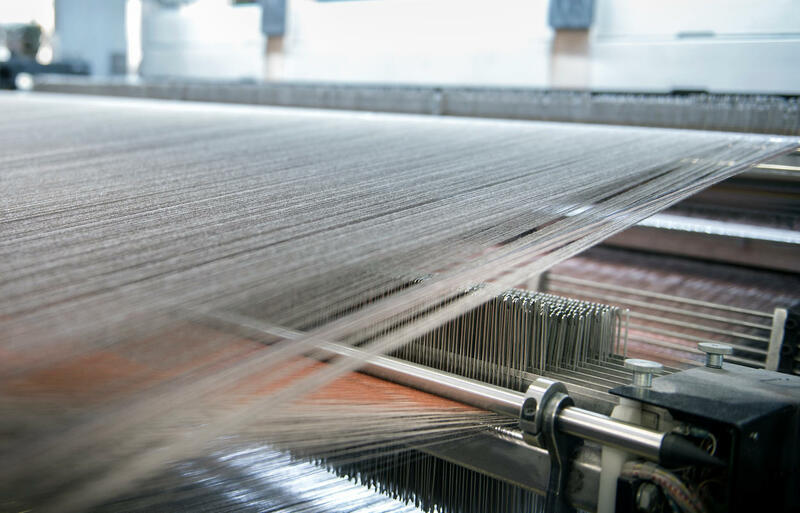 The more complex technology that is used to produce flat-woven fabrics results in a high design flexibility on the two-dimensional fabric surface. Different textures and small-scale as well as large-scale pattern repeats can be achieved with various . Using effect yarns in certain places can also create a different fabric feel and look. All natural and man-made yarns can be used, provided they are suitable for machine weaving. The fabrics are used in public transport vehicles and also for the centre lines of car seats. 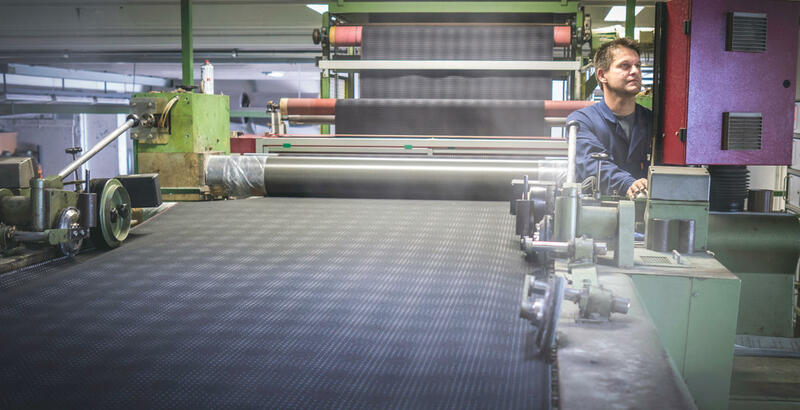 High-quality dobby weave flat-woven fabrics are created with small-scale patterns and textures designed to meet particularly high requirements when it comes to abrasion and tear resistance. The comparatively simple structure of the fabric makes it particularly flexible and makes it possible to produce lengths of fabric faster. 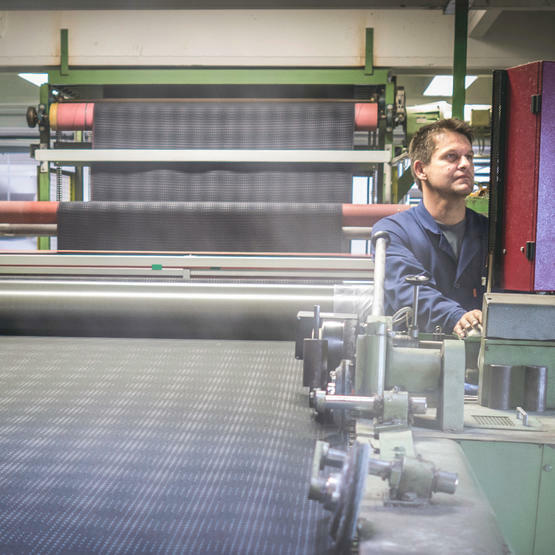 This technology is applied to produce fabrics that are used in the automotive industry for bolster materials, door panel linings and headrests, as well as non-visible anti-squeak material. 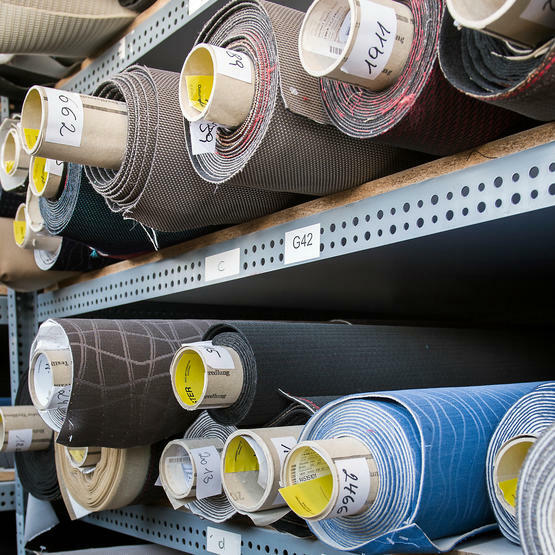 Our flat-woven fabrics are finished in cooperation with expert partners. 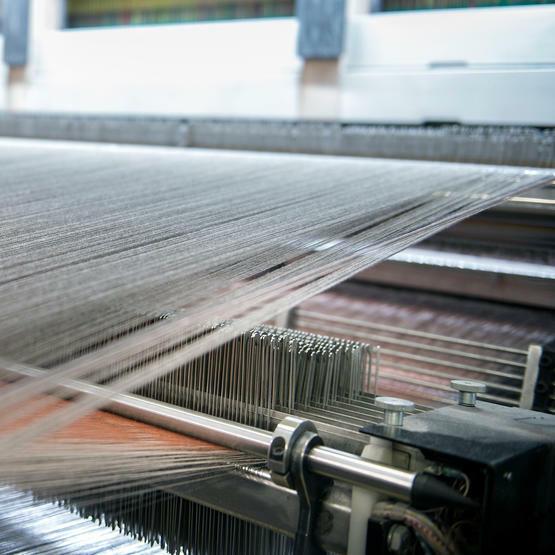 After the weaving process, the fabric is first of all cleaned to ensure that there are no solid particles on its surface. This is done using an ordinary tenside cleaning agent. 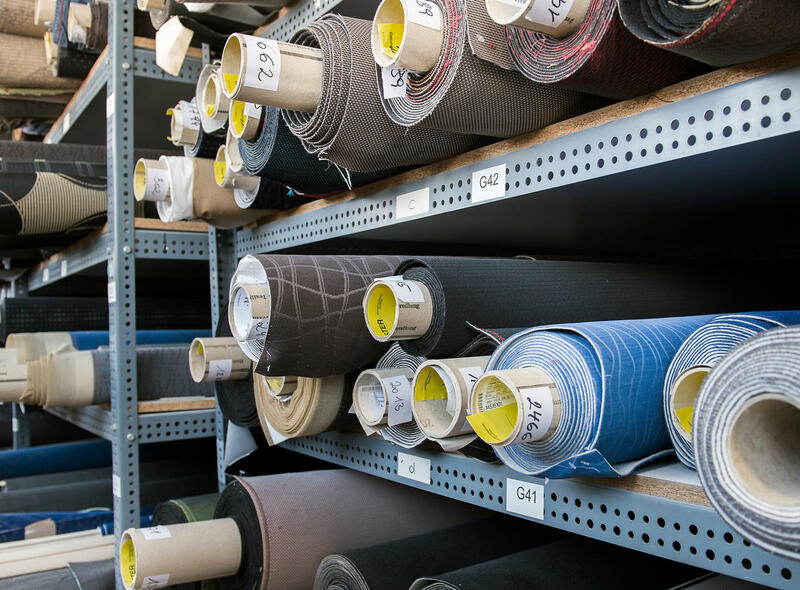 A chemical solution for finishing fabrics is the application of a coating where specific chemicals are applied to change the properties of the fabric. 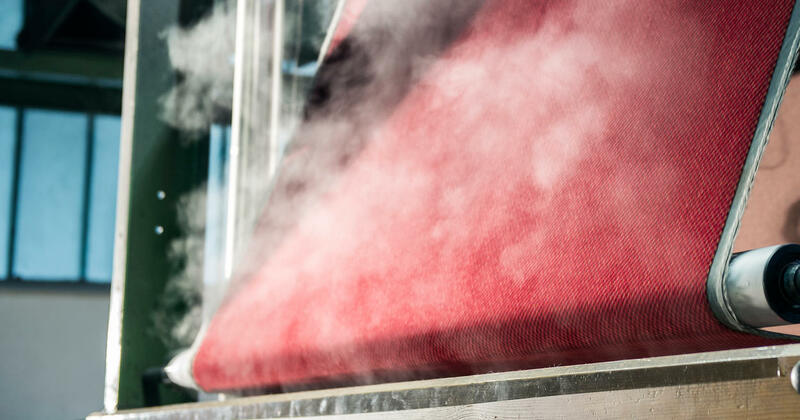 A fluorocarbon coating can also be applied to increase its resistance to soiling and stains. Fabrics can also be finished mechanically. 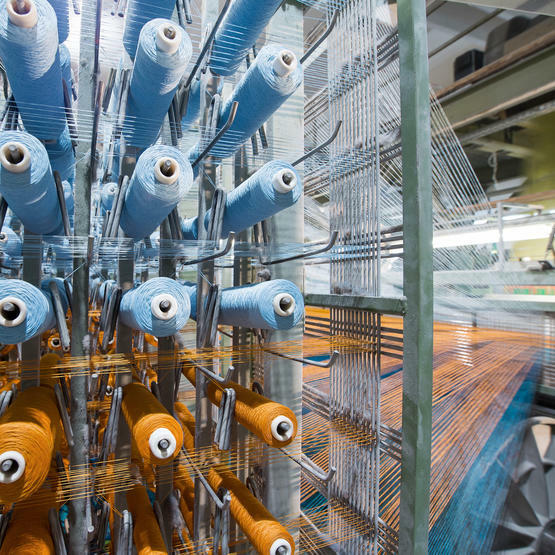 Wool and viscose textiles are singed and sheared to create a flatter surface. Embossing, pre-shrinking and lasering creates various different looking finishes. Laminating makes it possible to bond the fabric with other materials such as foam or fleece, for example. 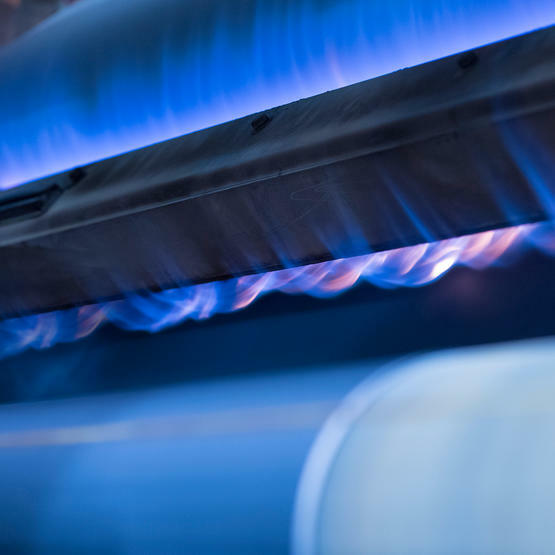 Depending on the respective application, either flame or heat laminating is used.